The luck of the Irish is with you when playing this game, and so is this beautiful winking Shamrock lady. Accumulate the Celtic Knot, Horseshoe, Harp, and the Claddagh ring lucky charms to increase your chances of winning big prizes in this slots play. 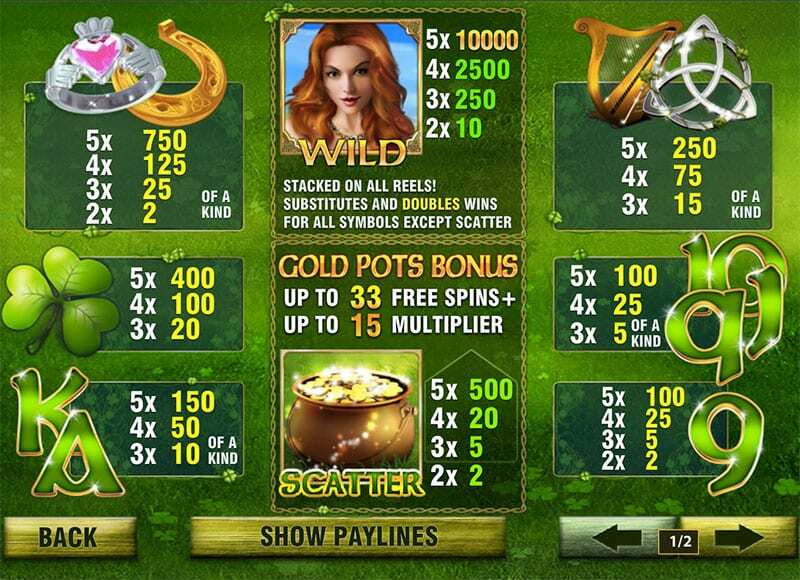 Look out for the Shamrock Lady Wild while playing Irish luck slots, she will pay you a humungous 10,000 coins. Do you have the luck of the Irish on your side?? With this new slot game from Eyecon then maybe you do! Have a go and see what you think, maybe a bit of Irish good fortune will rub off on you! But you will never know that unless you begin the hunt for those four-leaf clovers and grip them tightly in your possession and play this superb game that really does what it says on the tin. A game that will make you feel lucky again! (If you weren’t originally). This is a fantastic opportunity to take a stroll down into the woods of Ireland and say, “top o' the mornin' to ya” to any Irish person you may see. But seriously, these lucky woods of Ireland are the heart and soul of the Irish culture as they are filled with some of Irelands luckiest possessions. The developers of this game are those industry stalwarts, Eyecon. As has come to be the norm with Eyecon games, this one is packed full of fun with enduring playability and graphical cleverness. As well as the fun element, Eyecon games always bring you nice bonus features and plenty of free spins. This is just yet another one of those kinds of games produced by Eyecon. A slots game theme that is based solely on the identity and characteristics of a country, these guys are geniuses! You may feel as though ‘The luck of the Irish’ has become somewhat of a tongue in cheek saying now in the modern day. Our friends at Eyecon however totally disagree and have come up with a game that without a doubt proves that in fact the Irish remain as some of the luckiest people this planet has to offer. The Eyecon design fills you with Irish pride even if you don’t happen to be Irish, it only takes one glance at the design to convince you you’re sat in Dublin! 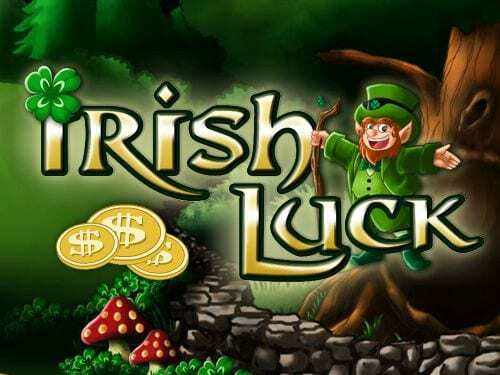 Another top-rated slots called Irish luck is a traditional five reel setup and the Irish theme really is jovial and packed full of all the historic Irish folklore. There are bonus rounds aplenty too which are guaranteed to keep you entertained for longer. The key to success in this game is helping the leprechauns spin the reels and with a bit of Irish luck and charm, you will hopefully win big! It’s an instantly appealing and welcoming game. The backdrop to the slot is a pot of gold at the end of a rainbow, with magical woodland and enormous toadstools. The symbols for the game are gold coins, pints of Guinness, pots of gold, pixies, and the leprechaun himself! The soundtrack adds to the experience although can be turned off if it is not to your taste! You can stake from as little as £0.01 so the game can definitely be enjoyed by those even with the smallest of budgets. There are a couple of really cool bonus features in this game too. The wild symbol is represented by the symbolically lucky clover. If you land a clover it will replace most the other symbols and help you generate a win. The leprechaun symbol is, in fact, the scatter and this triggers the Prize Pick feature. 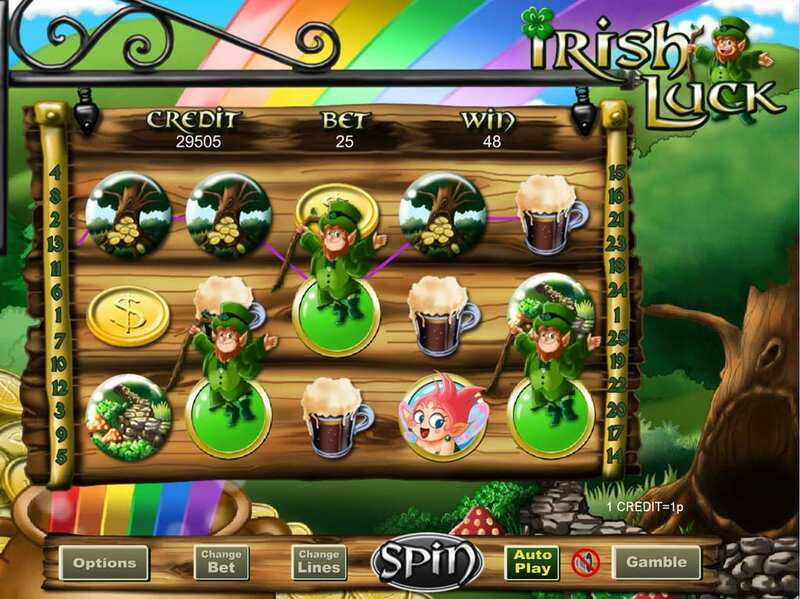 The player is given one pick for each scattered leprechaun and prizes are 100 times multipliers and 10 free spins. The free games during this feature are doubled which is a great addition. There is also a second scatter symbol which is the Fairy. If you land 3 or more then you will activate the Match & Win feature which is a fun little side game to play. So, it’s time to think like an Irishman and act like an Irishman when it comes to making these spins. whether that means putting on a vibrant green uniform and a top hate twice the size of you, drinking a pint of Guinness and dying your hair ginger or somehow shrinking yourself considerably to the height of a leprechaun is totally up to yourself! Whatever you choose to do this game will bring you a pot full of joy that will keep you spinning and winning, coming back for more until you pass the Irish luck is engraved into your very self. This is one of Wizardslots.com best games in terms of promotions. Don't forget that you can also check out the jackpot version of the game. It's available here at Wizard Slots and is called Irish Luck Jackpot. This is a progressive jackpot so as you play the cash in the jackpot will continue to increase and get bigger till it is triggered for one lucky player. 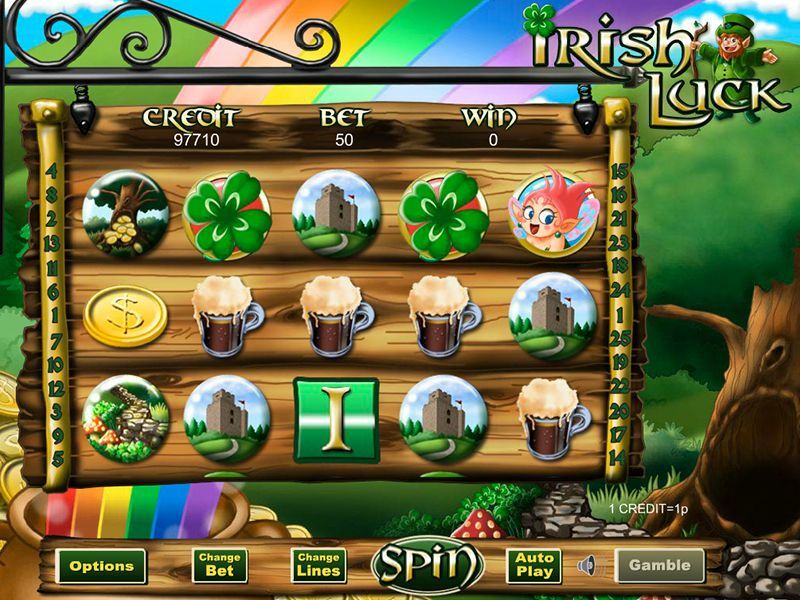 Irish Luck Slots is a breathtaking game that is bustling with bonus features and copious gameplay. You’ll see that there are many other Irish-themed slots available but this is without doubt up there with the best! We say that simply because it is crafted by the evergreen Eyecon team who just have this unbelievable knack of delivering games that have a theme that meets the eye of all the avid slot players out there. This game is no different, a game that lives up to its names in a variety of ways by pleasing its players regularly, so they don’t leave bored just ecstatic and positive about returning later to engulf in another Irish luck slots adventure. Once again this is an Irish themed game that has grasped so many punters Irish or not, it is loved by all. Another great game for you to try is our Venetian rose slot.